Have you seen all the wonderful Art Instruction DVDs from Creating a Masterpiece? One of the things that my kids love to do is create art. I am always finding their doodles and drawings all over the house. 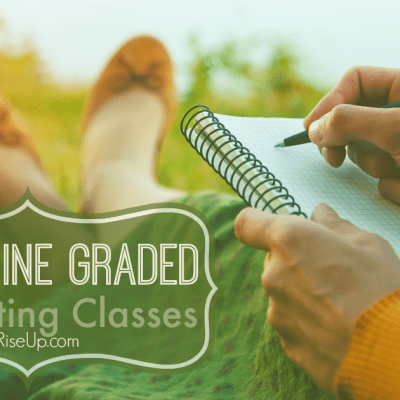 While they are definitely very artistic, we’ve never actually tried an art curriculum. Art always seems to be one of those subjects that I always would love to add, but never get around to it. This is where Creating a Masterpiece comes in. Creating a Masterpiece is a wonderful company that has several different art instruction videos to choose from. They have so many choices like Acrylics, Copper Tooling, Pastels, Sculpture, and more. I had a difficult time deciding which one we wanted to use, but went with the sculpture DVDs. My boys love to work with their hands, and I thought this would be a great creative outlet for them. I couldn’t wait to see what they came up with. 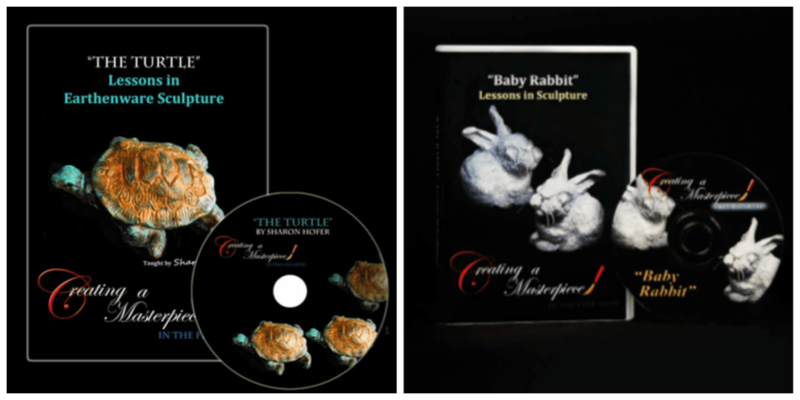 There are 3 different Sculpture instruction DVDs to choose from at Creating a Masterpiece. We decided to go with The Turtle first since my boys had never had any experience with sculpting other than with modeling clay. I love how Creating a Masterpiece has a list on their site of every single item you’ll need to complete each project. I was able to pull it up on my smart phone from the craft store and get everything we needed. 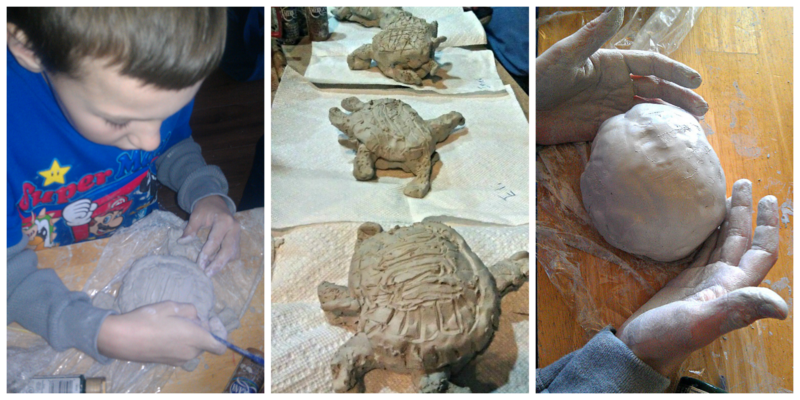 The boys had such a great time making their turtles. 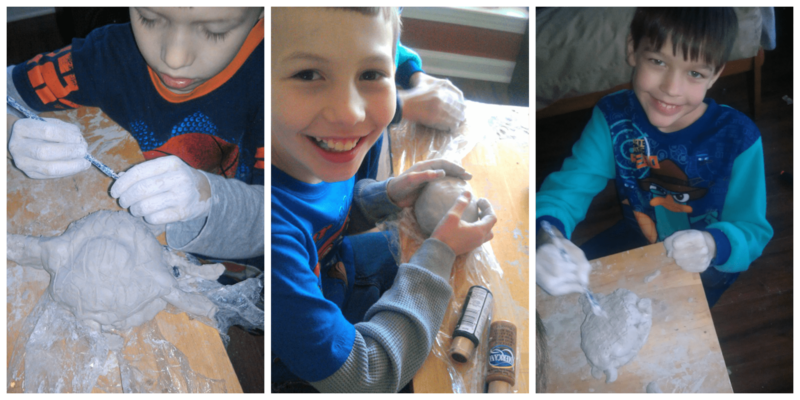 While I have 6 kiddos, I only had my 4 oldest do the sculpting. All 4 of the boys, ages 7-10, were able to follow the DVD instructions easily. Sharon Hofer is an excellent instructor, and explained difficult tasks very well so that they could understand them with no problems. There were 4 different sessions on the DVD, but we decided to go straight through with all of them. They really wanted to keep going so they did. I was so impressed with what they were able to accomplish with the instruction on the DVD. Their turtles look so great! They weren’t able to paint them yet because it takes almost a week for the clay to dry, and that has to happen first before you can paint them. I’ll be sure to post a new picture of the painted ones once they’re complete. Isn’t it amazing that those cute turtles can come from just a big blob of clay! How would you like to share these amazing DVDs with your kiddos? Here’s your chance. Thanks to Creating a Masterpiece one of you will be able to win your very own Sculpture DVD! It’s easy to enter. All you have to do is leave a comment with your answer to this question? Which Creating a Masterpiece DVD would you love to try first? See choices here. 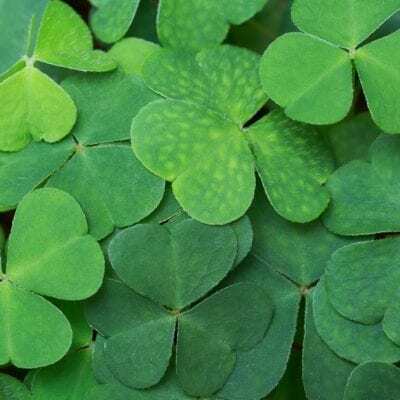 The will be chosen on Monday April 8th. This is a compensated post, but all opinions are mine.